In this article, you will learn the benefits of DHA for infants and kids, for the kind attention of pregnant and lactating women. Breast Milk is the only source of food in a new-born and has remarkable advantages over formula feeds. Most of the formulae feeds are deficient in fatty acid, DHA. Docosahexaenoic acid (DHA) is the most abundant omega-3, fatty acid found in breast milk and plays a key role in growth, development and functioning of neural tissues most notably those of the retina and brain. DHA is an important part of retina of the eye. High DHA levels are needed for the development of rhodopsin, a pigment in the rod cell, to aid vision in dim light and at night. There are studies to attest that babies born to mothers who had higher blood levels of DHA scored better on the attention tests until 6 months of age, and they scored better on different tests designed to measure visual learning in older babies at 1 year and 18 months. Women need sufficient stores of DHA for the proper nourishment of their babies during pregnancy and while nursing. Significant brain and eye development occurs in uterus and prolongs during the first year of birth. Beginning life with adequate levels of DHA is an advantage for the young infant whose brain grows for at least the next two years. Pregnant and lactating women who live near coastal areas and those on a diet high in fish and other seafood have the highest levels of DHA in their breast milk whereas countries with diets high in vegetable protein and lacking in seafood have the lowest levels of breast milk DHA. Fatty fish such as salmon, tuna, anchovies, sardines, marine algaes, eggs to some extent and Flax seeds, walnuts are excellent sources of DHA. 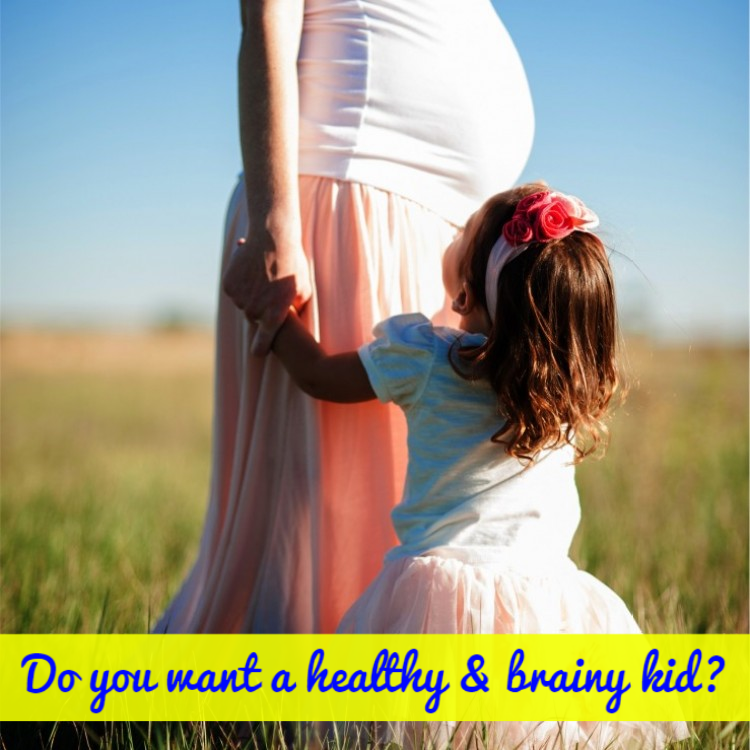 Pregnant and nursing mothers, do you want a healthy and brainy kid? Then include sufficient DHA in your diet.